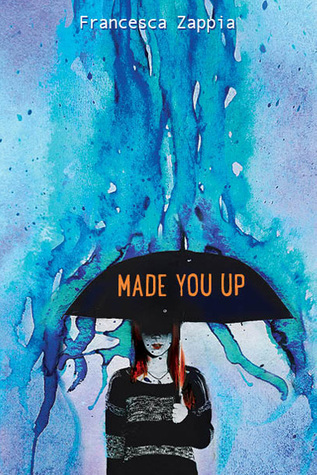 Synopsis: What if you aren’t the Chosen One? The one who’s supposed to fight the zombies, or the soul-eating ghosts, or whatever the heck this new thing is, with the blue lights and the death? What if you’re like Mikey? Who just wants to graduate and go to prom and maybe finally work up the courage to ask Henna out before someone goes and blows up the high school. Again. This book was SO MUCH FUN! I’ve actually never read a Ness book before (I know, sue me, but they’re LONG…) and I need to fix that soon. I really enjoyed this book. 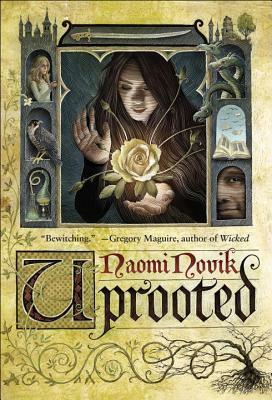 I liked the way it was written, I liked the magical realism and all of the characters were really awesome. This is a story about the people that are NOT involved with saving the world. The Harrys, the Buffys, the Sam & Deans. Those guys, they save the world. And they’re pretty awesome at it. But what about the guys who aren’t saving the world? The regular old guys that just have to sit by and watch those other awesome dudes save the world? Sure, the muggles in The Chosen One stories don’t always know about the conflicts, the vampires, the witches, but they do have some sense of the fall out (gas leaks, water mains bursting, random never-before-heard-of-illnesses killing off the local folks). I loved that in this book they KNEW about the zombies and ghosts and vampires that were invading the world. And they knew that they couldn’t do anything about it because it wasn’t THEIR story. In this book there’s The Chosen Ones (refereed to as the Indie kids, which cracked me the HELL up because I was kinda an indie kid in college even though I would NEVER have admitted it) and then The Rest of Us. The main characters are The Rest of Us: Mikey (who has OCD), his older sister Mel (who’s recovering from an eating disorder), his younger sister Meredith (who just struggles with being 10 years old and wanting to go to her favorite boy band concert), his neighbor and best friend Henna (who struggled with her super religious parents), and his other best friend Jared (who is half god and worshiped by cats. And also gay). Everyone has their faults, they deal with them in strange ways, and help each other out. They live, laugh, fight, love and wonder wtf is going on in their town THIS time. I think what I loved the most about this was how it was at times just a normal contemporary dealing with issues that a lot of teens face (and are just becoming things that are “okay” to talk about and seek help with) but then in the background there’s the freaking end of the world! And Indie kids are dying and saving the world and the sections that were about the Indie kids just SLAYED ME. I loved the writing and the mix of mystical with the contemporary and how it was all just so normal. A lot of it made me laugh, a lot of it felt like an inside joke that I was IN on and I loved it. Overall I’m not sure how this compares to Ness’ other books, but for me this was a great introduction to him. I admit, I haven’t read a lot of Patrick Ness’ works, and the ones I have read I’ve either absolutely adored or been completely ‘meh’ on. I took a gamble with The Rest of Us Just Live Here after hearing about it at Frenzy Presents (hosted by HarperCollins Canada) and I can honestly say I thought this was quite the fun book! Patrick Ness is fantastic at immersion in his stories, crafting weird and wonderful scenarios, and this book was no different. The Rest of Us Just Live Here focuses on those who are not “The Chosen One.” The ones who have to suffer the consequences and actions of “The Chosen One” as they fight to protect the world around them. Some days are more catastrophic than others, and this idea is done with a lot of humour. You can also tell Ness is a huge Buffy nerd, because there are some references in the novel that just prove that point and drive it home! Although I’ve given you a small glimpse on what the book is about, it’s hard to really categorize what it is supposed to be. Is it fantasy? Paranormal? Contemporary? 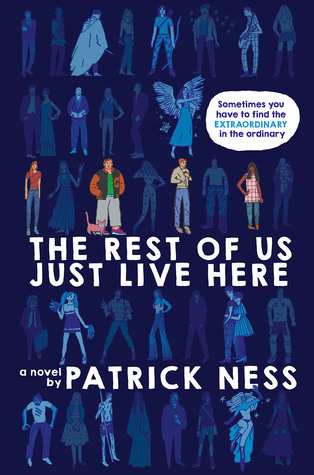 The Rest of Us Just Live Here really is a mish-mash of genres rolled into one engaging package. I admit, the use of genre bending threw me off once in awhile, and I’d have to reread parts to make sure I understood what Ness’ intention was. I admit, I did find parts of the novel dragged, but for me it was this weird level of rollercoaster enjoyment, where it felt very up and down. Ness’ has a very unique writing style, and it’s definitely not for everyone (hence why some books have worked for me and others haven’t). It’s weird to say, but I actually loved the plotline with the indie kids more than I did the Unchosen Ones. There was so much satire and humour in those moments, and when the indie kids plot mixed together with the Unchosen Ones plotline, that was when I found the book the most enjoyable and entertaining. The bit with the Finns? Absolutely genius. But when it was just about the day-to-day with the Unchosen Ones, I did find at times that the book wasn’t always as gripping as I wanted it to be. I also didn’t find the main characters to be as interesting compared to the Chosen Ones, and again that could have been more me than the book given that I was more interested in the satire side of the novel. That being said, I think that this might be one of Patrick Ness’ most unique books to-date, but it did not top A Monster Calls, which still remains my favourite book of his. I think that if you’re a fan of Buffy the Vampire Slayer or Joss Whedon style humour, you’ll find a lot to enjoy in this novel, but the story part I think will be quite hit-or-miss for some readers depending on what kind of expectations that have for this book. Truthfully, this to me isn’t the Patrick Ness book to start with (I still say The Knife of Never Letting Go or A Monster Calls really is where to start), however, I think this book will be quite the hit with those can appreciate the playfulness that Patrick Ness infuses into this world. I just wish I had liked the characters a lot more. 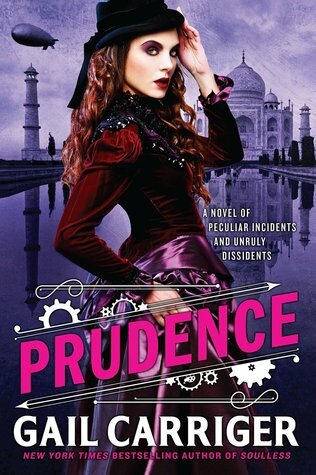 This entry was posted in Uncategorized and tagged arc review, book review, contemporary, edelweiss, fantasy, harper teen, paranormal, River, Sam, ya, young adult on October 13, 2015 by samcmar. 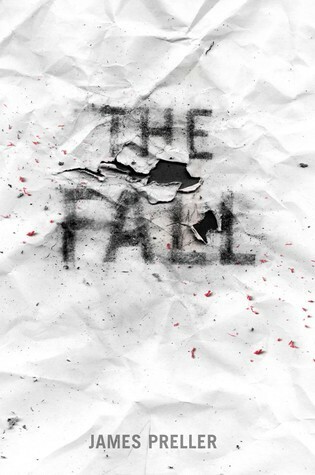 Synopsis: Through his journal a boy deals with the death of a classmate, who committed suicide as a result of bullying. Overall this is a solid look at suicide, bullying, and peer pressure. It’s told in journal entries by our narrator, Sam, who is trying to figure out and come to terms with the suicide of a classmate. We get to see that Morgan, the girl who jumped to her death, wasn’t just a random classmate. She was the outcast, the social leper, the one that everyone ganged up on. And she was also Sam’s friend. And he liked her. Like-liked her. And she liked him back. But we learn that Sam is just your average kid trying to get through high school without making waves. He’s a baseball player, decently liked, and gets along well enough with the popular kids that he is involved in their games. And their favorite game is a sick version of tag where if you’re “it” you have to write something super nasty (and anonymous) on Morgan’s social media site. And Sam admits that he’s a follower and that he follows the flow and that this is what he does. I liked the voice of this. The writing was simple but clear, and I think it worked well for the story that was being told. Sadly, thought, I think it also didn’t lend well to a lot of depth and emotion which is why I’m giving it a 3 instead of a 4. I liked this, but it didn’t really make me feel anything. It made me think, which is what books like this should do, but it didn’t really rip me up or anything (which is what I want books like this to do). Overall this is a nice addition to an important genre that explores bullying, suicide, and the ramifications it has on not just those directly effected, but everyone in a peer group. 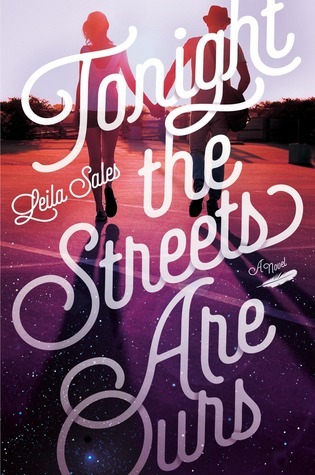 This entry was posted in Uncategorized and tagged arc review, book review, edelweiss, feiwel & friends, realistic fiction, River, suicide, tough issues, ya, young adult on September 16, 2015 by samcmar. Huge thank you to Greenwillow Books & Edelweiss for this ARC! I LOVED THIS BOOK! I lived the writing style, the wacky school, Alex’s humor and sincerity and MILES! I freaking LOVED Miles! And their whole little group. It was such a colorful cast of characters. This is a story about a girl named Alex who has paranoid schizophrenia. She often hallucinates and takes photos with her digital camera to help her understand what’s real and fake. The story starts off with her as a child trying to free the lobsters in the lobster tank at the grocery store. She meets a boy who has the bluest eyes she’s ever seen… and later learns that the whole thing was a delusion. Years later she’s in her senior year of high school. Getting her last chance. She didn’t do so well in her last school (due to paranoia about communists and a spray paint incident) and you get the feeling that if she doesn’t prove herself this time around something bad is going to happen. Alex is quirky and not just because of her schizophrenia. She’s just a wacky girl with a good sense of humor. I loved her voice and I loved being inside of her head. So often people are scared of schizophrenics and this really helped me to understand what it might be like for people who suffer from schizophrenia. I felt for Alex and she broke my heart more than once. Towards the end of the book we learn a very sad truth that is devastating for Alex and my heart just broke. Mile’s is an incredibly interesting character. He’s a genius, he’s a jerk, he’s king of the school. He does ‘jobs’ for people who pay him money to get revenge, get them out of tests, and other odd ball things. He does this because it gives him power. Without that he’s just a nerd from a bad home who gets bullied. And he faces off with Alex, pulling pranks on her, and her pulling them back on him. They slowly form a bond thought and he later figures out that she’s schizophrenic. But he’s very good about it, and takes care of her. There are some of THE sweetest moments between the two of them. And I just loved him. And I also loved how she took care of him when he needed help. The school they go to is almost it’s own character. There’s a lot of weird stuff going on and I just loved how it added to the story as an almost living background. Pick this book up guys. It’s brilliant and amazing! 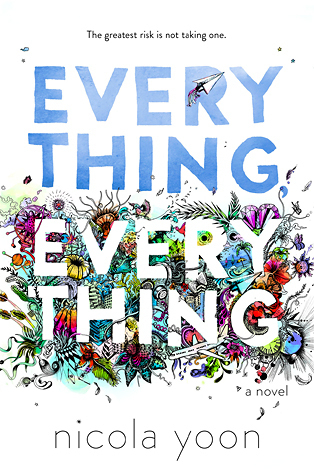 This entry was posted in Uncategorized and tagged arc review, book review, contemporary, edelweiss, greenwillow books, mental illness, realistic fiction, River, ya, young adult on July 16, 2015 by samcmar.